Definition: Personal development covers activities that build self-awareness and confidence, develop talents and potential, discover interests and values that inform your life and career, enhance the quality of life and contribute to the realization of dreams and aspirations. Task: Think about how you better yourself? What works for you, what doesn’t? What would you like to change within your life? 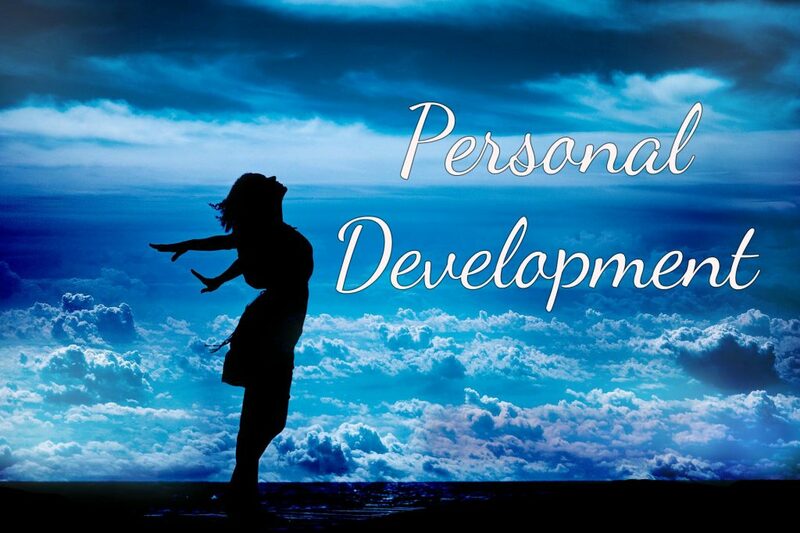 What does personal development mean to you? Personal development is my greatest passion. We are all on a Personal Development Journey from the moment we are born whether we are aware of it or actively working on it or not but I really only became aware and took control of my journey over 10 years ago. I was always interested in the subject of Mind, Body and Spirit but my passion really began when I read “The Secret” from the age of 18. My self-awareness took a huge leap and I started to become more aware of what I was thinking saying and doing. And I can tell you now, the real secret to Personal Development (in my opinion) is growing your self-awareness. I don’t know what percentage of the world population goes about their day unconsciously and thinking life just happens to them, that there is no reason nor rhyme for the things that happen to them but I am guessing it’s a big percentage! I have discovered through Personal Development that we might not be able to control fate or we might not have an awareness of what life lessons we have chosen to learn before we were born into this life but we do have a choice in how we react to this and how life events can affect us, there are tools that we can use and skills that we can learn to make life more manageable, pleasurable and liveable! So before I tell you more about what Personal Development involves and how it can help you, I want to tell you how it changed my life. 10 years ago, before I discovered Personal Development, I would still have been a very good person deep down but I have definitely smoothed my edges somewhat since and if I’m honest I do prefer the person that I am today. I used to be very hard on myself and judgemental of myself and others. I was extremely closed minded, inflexible and stubborn. I drank a lot and used alcohol to drown my sorrows when really it only magnified and exacerbated my stored up emotions and anxiety. I looked for love in all the wrong places when I should have been looking for it within myself. I was a victim and told my story to people who really didn’t care as they had their own stuff to be dealing with. I looked for people’s approval and was an avid people pleaser, this crippled my self-confidence. I was very unconscious, my ego and my thoughts were ruling my life and I was a hostage to my ego. I was self-obsessed as the ego always is. And naturally, I was extremely unhappy within. Personal development and self-awareness has changed me in every aspect. I greet each day with an open mind and a willingness to go with the natural flow of life. I am no longer as stubborn as what I was, I am flexible and I now see the great value and respect in compromise. I rarely drink alcohol now and when I do, I just have a glass or 2 of wine, I do not binge drink any more. I very rarely feel stressed or anxious anymore and on the off chance that I do, I will face it head on and find a solution. I find healthy ways to express my emotions and don’t store them to my bodies detriment anymore. I have slowly distanced myself from people that were a toxic influence in my life. I greatly value my close relationships and friendships. I listen to people now besides feeling this compulsion to tell my story of how I was a victim. I have more control over my ego and thoughts. I have great confidence in myself and great love and respect for myself also. I live my life to the best of my ability, life doesn’t just happen to me anymore, I have taken back control of the direction of my life. My life is predominantly peaceful, happy and content. I naturally have down days where I feel low but in those days, I accept myself as I am, I rest, take it easy and I give myself the space to feel this way and to recharge. This really is an over-view and I am writing this from my experience, Personal Development can have many contexts in many situations. Personal Development to me is about turning inward. It is realising that the only way you can create lasting change in your outward reality and experiences is to make positive changes on the inside, for example – changing negative thought and self-talk patterns, self-limiting beliefs and build your self-awareness in terms being more in tune with your feelings and building emotional intelligence. First of all what you need to really kick-start your Personal Development Journey is three things: Media (in the form of books is what works best for me, but if reading really isn’t your thing then video’s or podcasts are also good!) Courses (there are many out there you just have to look) and Support (in the form of a group or a teacher or a Personal Development coach like myself). You need the material to study at home, you need to get out there and get educated on it. You need the support – the greatest insights I have had have been while having a great debate with people that I feel are on my level. That’s not to say that I feel I am any better or less than some people but it is a fact of life – sometimes the people we love find it difficult to understand us or our beliefs and see our point of view, in that case you need to look for support and like-minded people elsewhere because it is important to be listened to and understood! Personal Development involves looking at yourself, what is working out what isn’t. This requires a lot of openness and honesty with yourself. You look at your thoughts, feelings and beliefs – to change these for the better you need to look at these on a continuous basis. You look at your relationships and what lessons are to be gained from them. You look at the bigger picture of your life and figure out what works and what doesn’t. You learn tools such as mindfulness and self-awareness and self-acceptance. You learn how to focus on the present moment more instead of the past and future. You learn that everything happens for a reason, and you start to see the reason and growth within suffering – this awareness doesn’t make suffering any easier but it does make it easier to accept and grow. Personal Development as I have said previously is a journey, it is a journey that usually begins for someone when they realise there has to be more to life than just existing with no power or control over what happens to them. It takes practice and time but take great encouragement from the fact that gradually the journey becomes less about your suffering and more about your growth. Looking at yourself – you begin to see yourself as you really are, not how people tell you, you are. I believe we are born as innocent, loving beings and that there is no such thing as evil or ugly, they are illusions that have been bought into by fearful and controlling people for centuries. There is such thing as fear and irrationality and hurt and when they grow out of control, bad things happen but I do believe that nobody was born inherently evil or bad. Hurt people hurt people, that is why we have so much war and suffering in the world, we all have hurt inside. Looking at your beliefs – if you are not happy with your life or any aspect of your life then more than likely that is down to your belief about something and changing your beliefs will change your perception and experience of your life. If you reach for a belief that feels better and more in line with your values then naturally your life is going to improve immensely. Looking at your thoughts and emotions – Your thoughts about the things you experience create emotions within your body, it is like a chain reaction. You experience something you perceive as good, you will start to feel good. You experience something you perceive to be bad, you will feel bad. With Personal Development, you learn the great skill of curiosity, for example, why am I perceiving something as good or bad? Why is this affecting me in this way. Looking at relationships – when you start looking at relationships, you learn a lot about how and why you relate to the different people in your life and also how and why they relate to you. You also develop a better and more caring relationship with yourself. You start to put yourself first instead of putting others before you. I believe the purpose of relationships are to learn and grow and by taking time to actually look at your relationships, you are speeding up the process of growth and minimising the risk of suffering. Looking at the bigger picture enables you to look at all aspects of your life and gives you a better vantage point of what is working out for you and what isn’t. It also enable you to create an even better vision of what you would like your life to be. By practicing the tools of mindfulness, self-acceptance and self-awareness you bring yourself back into the present moment. When our ego is in control and we are going about day to day life unconsciously, we are fixated on the past or future and this more often than not stresses us out and puts stress on our bodies. Focusing on the present moment, accepting yourself as you are and being aware of your thoughts and your body can counteract any stress you feel and bring you great peace. If you need help or support with your personal development journey book your FREE breakthrough call here.